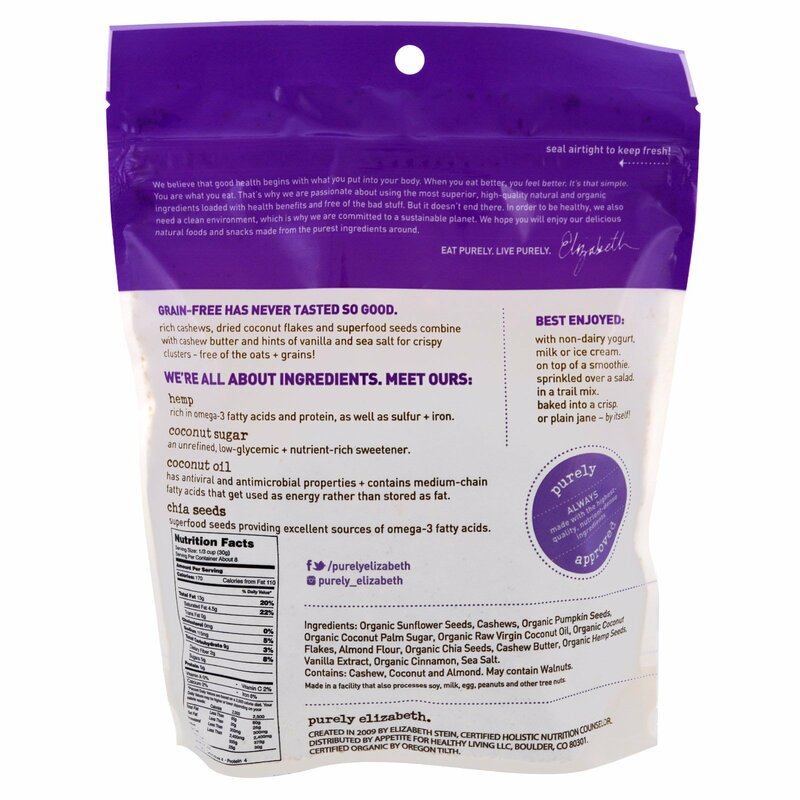 Rich cashews, dried coconut flakes and superfood seeds combine with cashew butter and hints of vanilla and sea salt for crispy clusters - free of the oats + grains! 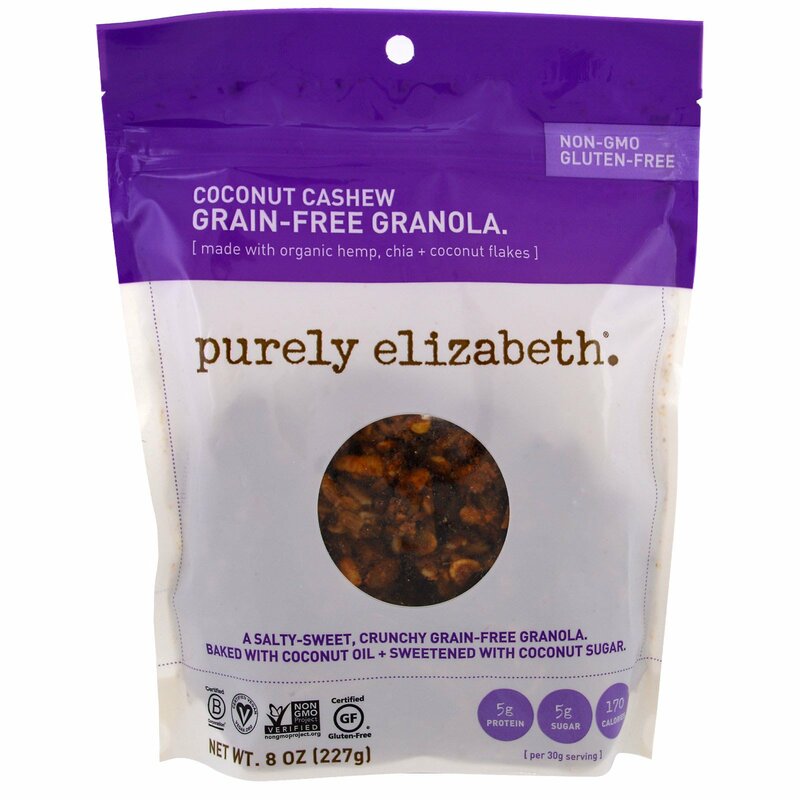 Contains: Cashew, coconut, and almond. May contain walnuts.